Provide comfort for the family of Diana Fairbanks with a meaningful gesture of sympathy. 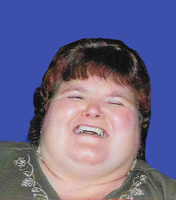 Diana D. “Dee” Fairbanks, 45, of Thompsontown, passed away at 8:04 PM on Friday, March 22, 2019 at the Fox Subacute at Mechanicsburg. Born on March 4, 1974 in Lewistown, Mifflin Co., she is a daughter of Maude I. (Bender) Speece and her husband Robert Sr. of Thompsontown and the late Robert Kreider Sr. In addition to her mother and step-father, Dee is survived by: three brothers, Robert Kreider, Jr. and his wife Karen of Port Royal, Richard Kreider of Thompsontown, and Shawn Kreider of McAlisterville; step-siblings, Robert Speece Jr. and his wife Tammy, Randy Speece and his wife Mary all of Thompsontown, Gary Speece and his wife Teresa of Richfield, Douglas Speece and his wife Beth of McAlisterville, Ed Speece and his wife Bess and Diane Kerstetter and her husband Randy all of Mifflintown; a special uncle, Harman “Hump” Bender of Mifflin; and several nieces and nephews. In addition to her father, she was preceded in death by an aunt, Carol Bender. Ms. Fairbanks was a 1992 graduate of East Juniata High School in Cocolamus. She enjoyed socializing with family and friends, walking, animals, going to various flea markets, being outdoors, attending and participating in Skills, collecting unicorns, and attending and singing at Church. Dee will be remembered for her smile. A Visitation will be held from 6:00 PM until the time of the memorial services at 7:00 PM on Wednesday at the Church. In lieu of flowers, memorial contributions in Ms. Fairbanks memory can be made to the Oakland Mills Evangelical Methodist Church, 148 Leonard Road, Oakland Mills, PA 17076. To send flowers in memory of Diana D. Fairbanks, please visit our Heartfelt Sympathies Store. We encourage you to share your most beloved memories of Diana here, so that the family and other loved ones can always see it. You can upload cherished photographs, or share your favorite stories, and can even comment on those shared by others. Provide comfort for the family of Diana D. Fairbanks by sending flowers. May the family of Diana D. Fairbanks please accept my sincere condolences hoping you find comfort in God's words at Acts 24:15 and Psalm 37:29.